WPI had been a leader in project based learning since the 1970s. 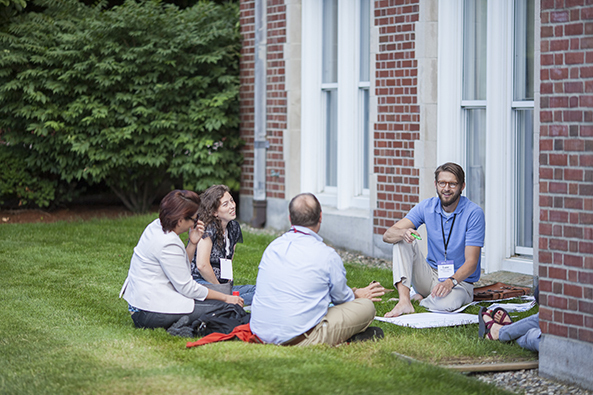 This guide for PBL educators provides introductory materials on PBL, resources to help develop PBL, and WPI author publications on the PBL experience at WPI. Since 1970, project-based learning has been the core of WPI’s undergraduate curriculum, known as the WPI Plan, providing students a professional and social context to apply their acquired skills and abilities. The curriculum features integrative project work across four years, both in the major and in general education, in classrooms, and around the globe at our more than 40 project centers. Under the Plan, students work closely with faculty and each other to develop solutions to real-world problems in their own communities and in communities around the globe. Participating in team and individual research settings, students tackle authentic, open-ended projects under faculty guidance. In the process, they master critical thinking, sharpen research skills, fine-tune written and oral communication skills, and connect the curriculum to local and global issues. Discover how the WPI Plan will set you apart in the world—first as a student, then as a sought-after young professional, and ultimately across your career and life. In 1970 the WPI Plan was a bold experiment. Today, it’s a proven and highly effective model for undergraduate learning that’s both adaptable and rigorous. Through the Plan, you learn how to learn by applying your classroom experiences in projects that challenge you from a proficiency, social, and global perspective. Does it work? Our 97 percent first-year retention rate (cited by the New York Times) is among the highest in the nation. And, a comprehensive study of our graduates (linked below) confirmed the professional and personal benefits of learning and living according to the Plan.